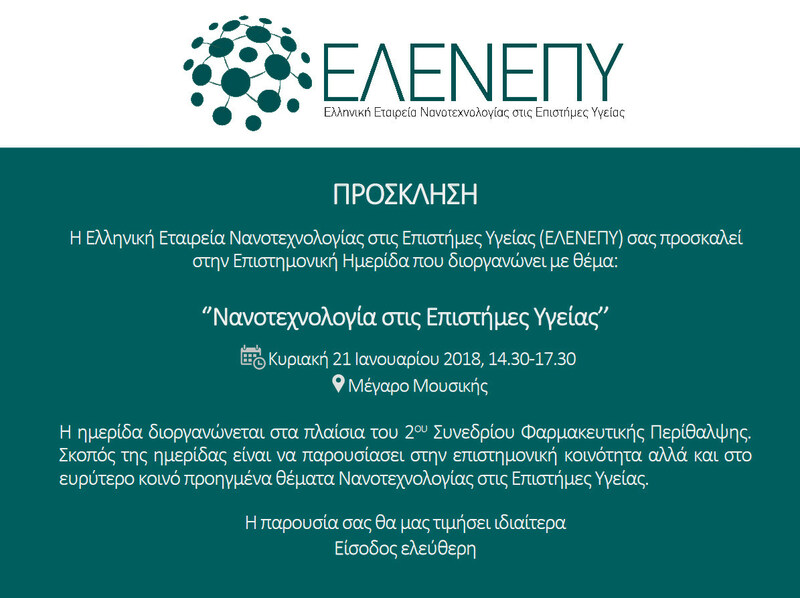 The Hellenic Society of Nanotechnology in Health Sciences (HSnanoHS) in partnership with the 2nd Department of Radiology, the Hellenic Association of Medical Physics (HAMP) and the Hellenic Association of Medical Physicists of Public Hospitals was successfully organized the meeting entitled ‘’Diagnostic Reference Levels (DRLs): Their role in Medical Imaging’’. 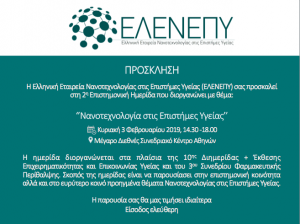 The meeting was held on 19th January 2019 at Evangelismos General Hospital in Athens. 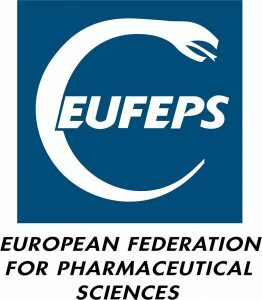 In the light of new guidelines and the implementation of the Council Directive 2013/59 Euratom, DRLs are considered an up-to-date and interesting topic in the field of medical imaging. 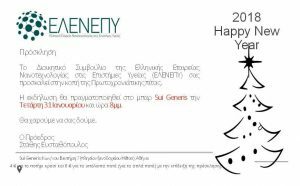 The Hellenic Society of Nanotechnology in Health Sciences is proud to announce that our General Secretary, Prof. Spyridon Kintzios has been elected Rector of the Agricultural University of Athens. We wish him a prosperous tenure! 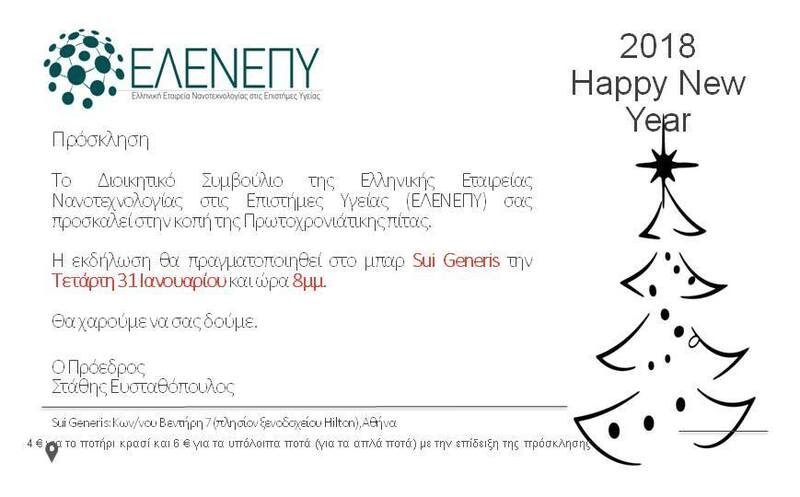 HsnanoHS will celebrate the beginning of the New Year by performing the traditional cake – cutting on the 31st of December at Sui Generis, Athens. 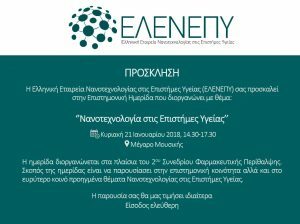 Kindly be invited to attend the Hsnanohs workshop on Nanothechnology in Health Sciences on Sunday afternoon, 21st January 2018. 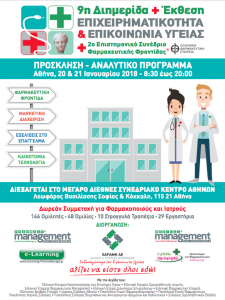 The worksop is realised in conjunction with the 9th Meeting and Exhibition on Entrepreneurship and Health Communication and 2nd Scientific Congress on Pharmaceutical Care, at the Megaron Athens International Conference Centre. Please find the detailed workshop program here. 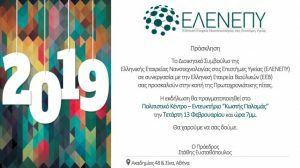 Hsnanohs will participate and chair scientific sessions at the 9th Meeting and Exhibition on Entrepreneurship and Health Communication and the 2nd Scientific Congress on Pharmaceutical Care, on the 20th – 21st January 2018 at the Megaron Athens International Conference Centre. The Meeting will endorse 5 topical pillars, 146 speakers, 48 talks, 10 round tables and 29 workshops. Hsnanohs will host a complete seminar on Nanothechnology in Health Sciences on Sunday afternoon. Read more about the Meeting here. 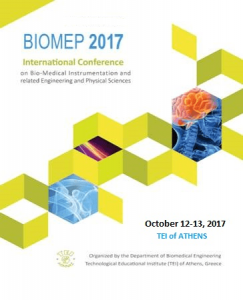 Hsnanohs will participate at the upcoming international “Conference on Bio-Medical Instrumentation and related Engineering and Physical Sciences, BIOMEP 2017”, organised by the Technological Educational Institute of Athens, on 12 -13 October in Athens. 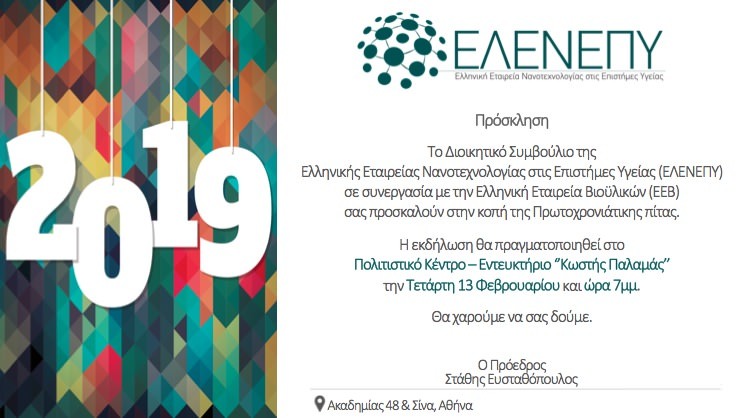 During the conference, Prof. Efstathopoulos will chair a roundtable on Radiation Protection and a session on Nanotechnology in Biological Sciences and Prof. Demetzos will present a talk on Advances in Drug Delivery Nano Systems. HSnanoHS will be present at the 18th Hellenic Pharmaceutical Conference, which will take place at Zappeion Megaron, between 6 and 8 October 2017. 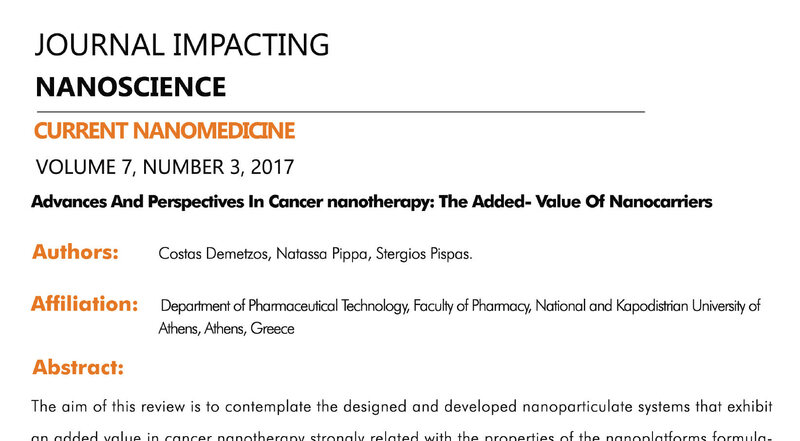 HSnanoHS will co-organize a Nanomedicine session during the EUFEPS’ 2018 meeting, which will take place in Athens on May 24-26. The symposium will comprise of parallel sessions on Nanomedicine, Biotech products, Pharmacogenomics/Pharmacogenetics and Personalised Medicine,Systems Pharmacology and the main track focusing on Crossing Barriers for Future Medicines with a special emphasis on Oral drug absorption. Prof. Demetzos, Vice President of the Hellenic Society of Nanotechnology in Health Sciences, is one of the key speakers at the ILS Liposome Advances and Liposome Research Days Combined Conference. 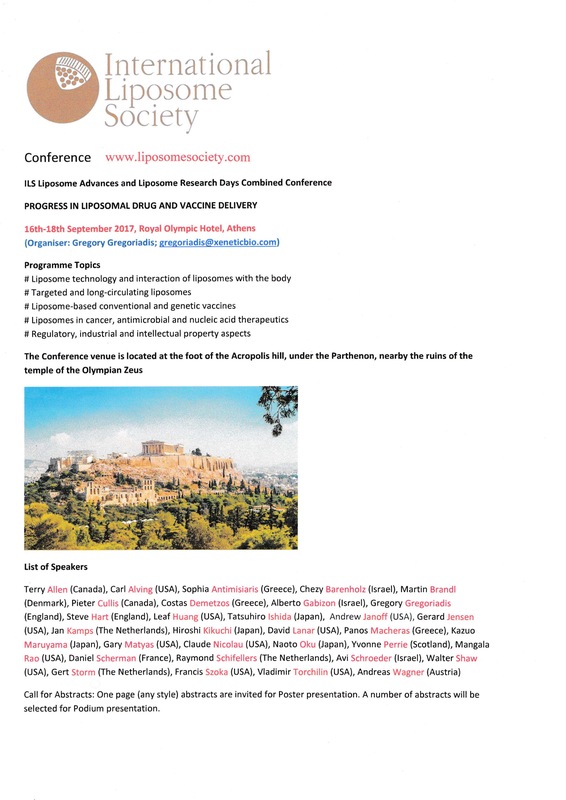 All members of the Society will also participate in the conference and discuss their Nanomedicine related activities. 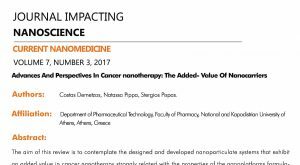 A review article, discussing the added value of Nanocarriers in cancer nanotherapy, was recently released in “Current Nanomedicine” by the team of Prof. Demetzos, vVice-President of the Hellenic Society of Nanotechnology in Health Sciences. 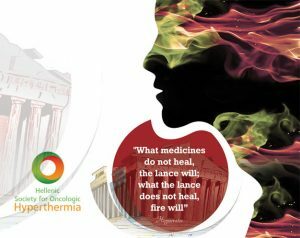 Members of the Hellenic Society of Nanotechnology in Health Sciences participated in the Local Scientific Committee of the 31st annual meeting of the European Society of Hyperthermic Oncology (ESHO 2017), which was held in Athens, Greece. They also chaired multiple scientific sessions and presented their Nanomedicine related activities. Dr. Frances Ligler, Pioneer in Portable Optical Biosensors and a Honorary Member of Hsnanohs, was invited to give a talk at the Agricultural University of Athens, titled “Microfluidic solutions for new therapeutic systems and simpler diagnostics”. 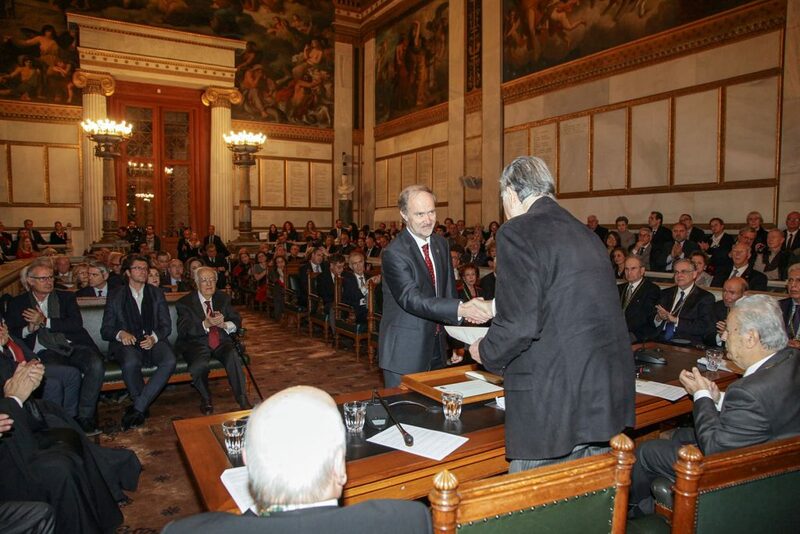 Dr. Ligler has been awarded an honorary doctorate at the Department of Biotechnology of the Agricultural University of Athens in 2014. 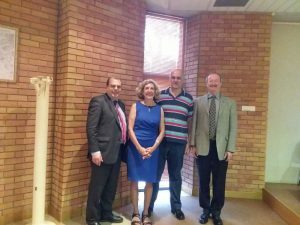 Her husband, Mr. George Liger, an expert in the field of interdisciplinary system engineering, also participated in the event. 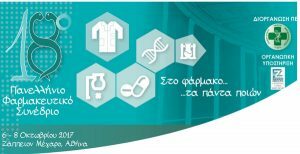 The 27th Interdisciplinary Research Conference on Injectable Osteoarticular Biomaterials and Bone Augmentation Procedures (GRIBOI) was organized this year in Greece and was held in partnership with the “Hellenic Society of Nanotechnology in Health Sciences”. 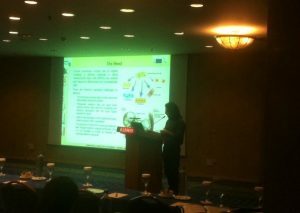 Members presented their work and participation in European Projects (i.e. 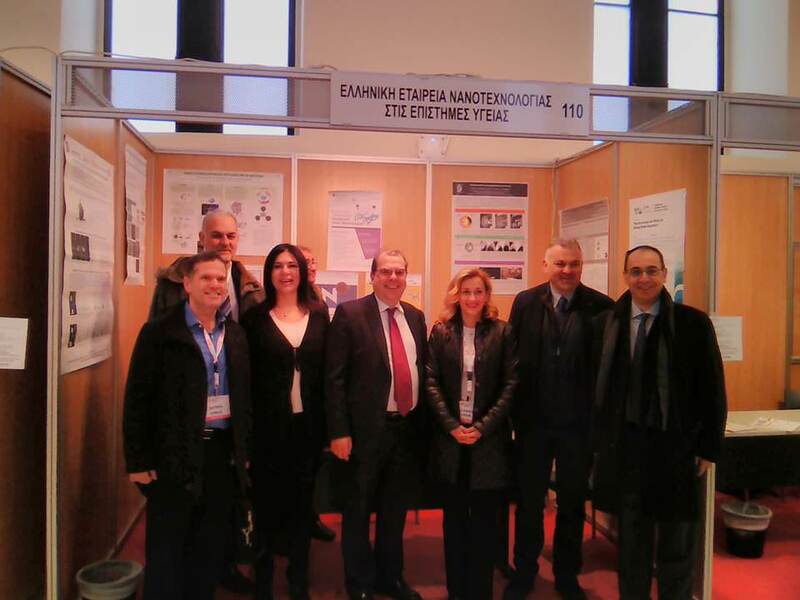 the H2020 VIVOIMAG project) and discussed the possibilities of Nanomaterials in health applications with all participants. The Hellenic Society of Nanotechnology in Health Sciences was present at the 4th Athens Science Festival, one of the largest Greek outreach events, which targets general public. Members explained and presented the exciting world of Nanoparticles and Nanomedicine to children and adults with videos, games and questionnaires! 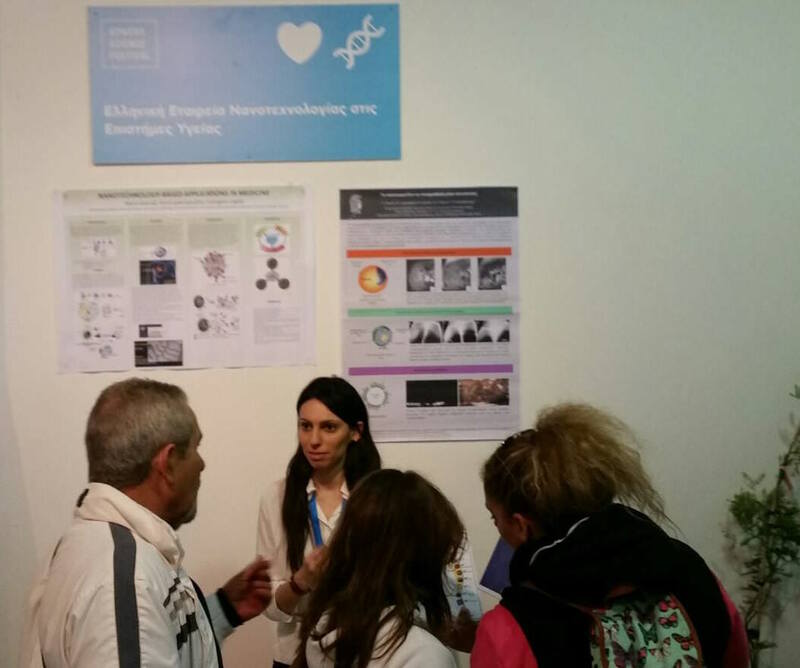 The Hellenic Society of Nanotechnology in Health Sciences participated in DYO Forum, a 2 – day scientific event with more than 7000 visitors, concerning health, beauty and nutrition. All memebers were present and discussed and disseminated their activities and ideas through a booth. Flyers and brochures were handed out, explaining the scope of the society. 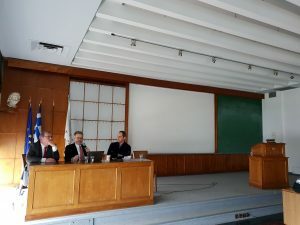 A workshop was organized were Society activities, as well as several H2020 European Projects were also discussed with the general public (VIVOIMAG, CUPIDO, etc).